Golf is like a roller coaster. There are highs and lows that will make your stomach turn in every direction. Like all sports, some days are special and others need are quickly forgotten. Currently, I am riding a 4 round spree of great golf. My scores are low, my consistency is solid and I am confident with ever shot. I am riding a wave of great golf. This type of positive play happens a couple of times a year. Generally, the first one starts a bit earlier, but due to the weather I have not played as regular as I had hoped. Regardless, my good play is now here and I hope to ride it as long as possible. Playing well for me is very simple. I have a high GIR percentage (around 75%) and I am putting well (no 3-putts). Combining these two stats always results in low golf scores. Over the past 4 rounds, I averaged 2.5 strokes over par and I am on the cusp of dropping my handicap index back in to the 4.8 range. If I shoot well on my next two outings, I will be on my way to where I expect my handicap to be at this time of year. If I had to pick something specific that has elevated my play lately, I would have to choose my ball striking with my short irons, excluding my wedges. Hitting my 7 through PW has greatly improved over the past 4 rounds. Surprisingly, I only made one small adjustment that resulted in terrific gains. I moved my ball back in my stance 1 inch. That is it. This small change is what I looked for from the beginning of the year. I am not sure why my ball was out of alignment with these clubs, but now that I am aware, I will stay focused on keeping my ball in the proper position during setup. It is easy to be a grateful golfer when the stars align on the golf course. However, similar to a previous post on conceive, believe and achieve, I must be willing to accept the positive results and not doubt this gift from the golf gods. Moving forward, I will focus on the emotion of playing well. I will remember the feeling of making great shots and recall that feeling if things start to go awry. Remember the feeling of success is as important as remembering the process of success. They are intertwined and I will continue to capitalize on my current wave of playing great golf. 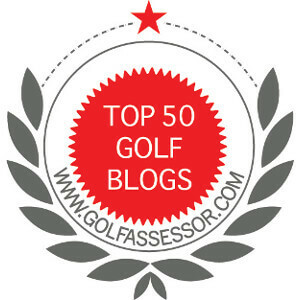 This article was written by Jim Burton from The Grateful Golfer blog. I like how you call it a wave. That seems apt to me. Right now, I am troughing it again, but seem to be heading back for the top. My chipping and putting is about there now. It’s the approach shots that need help. And I would love to get the missing 20-30 yards back with my driver. This heat and the wet fairways from the tropical storms we seem to get almost every day and my high launch trajectory is killing me right now. I don’t think I got a bit of roll out once with the driver today. Most plugged and came out about a foot behind where they landed. That hurts. But even that will stop eventually and things will be right with my world again. Here’s hoping you can ride the wave the rest of the year and dent that handicap again. Riding the wave is definitely a sport for golfers. As you showed, a number of things can affect your game and as a result your scores are up and down. I am happy to hear you are on your way back to the top of the wave. Good luck and I hope things dry out soon. Gotta love it when a simple fix provides a great benefit. Awesome to hear that you are in such good form. Keep it up! Nice one Jim, keep it up. I totally agree with you about needing to remember the feeling of success. You can take it one step further too. While I was in training last year I constantly tried to feel the emotion of playing well and winning the event I was training for, before I even went there. Trying to feel the euphoria ‘in advance’ and experience what it ‘will be’ like helped me tremendously. If nothing else it helps cement in your mind the ‘why’ you are attempting to play well, win an event etc. Whether people believe in the Law of Attraction or not is an individual choice, however I am convinced it contributed to me winning my event. Keep going Jim, hope you get to sub 4.5 soon! We are definitely on the same page. Call it what you like, the Law of Attraction works for me. I hope to lower my handicap very soon. Thanks for the support.